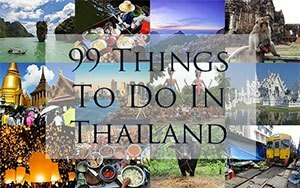 Korat — also known as Nakhon Ratchasima — is the capital city of the province by the same name in the north east of Thailand. Until recently the city was rarely frequented by tourists who saw it merely as a gateway to the northern Isaan region and the borders of Laos and Cambodia, but it is now fast becoming a destination worth visiting in its own right. Multicultural Korat city is rich in history, and combines tradition with contemporary innovation. The city and its surrounds are packed with diverse things to see and do, including temples, national parks, museums, and archaeological sites, and it provides visitors an opportunity to explore a unique province a little off the tourist trail. Temperatures in Korat are relatively warm all year round, averaging at a balmy 26.7°C. The climate is tropical, and features 3 seasons. The hot season runs from February to May, and sees temperatures sometimes reaching into way into the 30°Cs, and this season also coincides with the month of April when a large religious festival is held in Korat city and it’s a great time to visit if you can take the heat. The rainy season lasts from May to October, when skies are overcast, the atmosphere can be very heavy, and there are daily showers. During the cold season from October to February the temperatures drop but tend to stay in the mid 20°Cs, and there is also very little rain, so this is a popular time for visiting the region. Korat city lies just 160 miles north east of Bangkok, and there are good rail, bus and air connections between the two. Both public and private buses make the journey by road, and it is worth paying a little more for a VIP private bus as the journey time is shorter (around 4 hours) and they are more comfortable with air conditioning. There are regular daily bus departures from Bangkok’s Mo Chit Northern Bus Terminal, and ticket prices start at 170 THB one way. There are also minivans which make multiple daily departures from Mo Chit to Korat Bus Terminal. They are faster (taking around 3 hours to make the trip) but slightly less comfortable. Ticket prices are similar, starting at 180 THB one way. Making the journey by train is a relaxing — if slower — alternative, and gives you the chance to enjoy a little scenery along the way. Trains depart several times a day from Bangkok’s Hua Lamphong train station, with the first departure being at around 5:45 am and the last at around 8:30 pm. Expect the journey to take anywhere between 4.5 and 5.5 hours to Korat train station just outside the city centre. Train tickets start at 100 THB for a 3rd class ticket, but it’s worth upgrading to 2nd class for about 325 THB in order to get some air conditioning as the trains can get stuffy. You can also fly to Nakhon Ratchasima from Bangkok’s Don Mueang airport. Plenty of low cost airlines serve the route, including Air Asia and Nok Air, and the entire journey time is one hour. Built during the 11th and 12th centuries, the sprawling ruins of this vast Khmer temple at Phimai Historical Park are hugely impressive. There are notable Hindu and Buddhist influences in the temple architecture, and the complex features an inner moated city, naga bridges and terraces, pavilions, galleried corridors, massive towers (which would later be the inspiration for the towers of the famous Angkor Wat in Cambodia), and wonderful carvings. As well as the ruins themselves, Phimai Historical Park also houses an interesting archaeological museum displaying interesting collections of artifacts from various sites in the lower region of North East Thailand. This quiet little museum in Korat city holds an unexpected wealth of treasures created around a collection of antique artefacts which belonged to a much revered monk who was the Abbot of Wat Suthajinda in north east Thailand. His collection has been built up to include other cultural materials from archaeological sites and monuments found in Nakhon Ratchasima province. Highlights include an excellent selection of Buddha images from various different eras, prehistoric pottery, and Khmer bronze statues. For beautiful scenery, head down to Lamtakhong Dam 50 miles outside Korat city. This man made lake is a favourite local beauty spot with a stunning mountain backdrop and serene, cool waters, and there are some lovely viewpoints and a few little restaurants serving tasty Thai fare. Come for a picnic and a stroll and stay for the spectacular sunset. The intriguing ruins of the Buddhist temple of Prasat Phanom Wan 10 miles outside Korat city was built in the 11th century. In recent years the temple has been fully restored, and it is now possible to see its many interesting features including a small tower which is thought to belong to an earlier shrine dating back as far as the 7th century, a rectangular gallery with slender sandstone columns, and the lotus bud shaped towers of the inner sanctuary. There are also a number of Buddha statues inside the temple, which are thought to date back to the thirteenth and fourteenth centuries. Visitors of all ages will enjoy a trip to Korat Zoo — one of the finest animal parks in Thailand. Set in over 200 acres, the zoo is home to over 500 species of birds, insects, reptiles, amphibians and other animals, including an grand selection of African animals such as African elephants, lions, white rhinoceroses, African buffaloes and leopards. There is also a dinosaur park, a large waterpark with slides, pools and rivers, and pleasant gardens full of plants and flowers. This 3D gallery provides plenty of fun photo opportunities posing in front of the huge interactive, illusory paintings that almost spring to life. Over 100 works of art by local artists are presented at the gallery, with themes themes ranging from wild landscapes to animals and waterfall, famous comic book heroes, and more. Pose with the paintings and snap away to your heart’s content – you’re sure to leave with some great souvenirs of your visit. Thailand’s oldest, most visited, and second largest national park, Khao Yai National Park has been designated a UNESCO World Heritage site due to having one of the largest tropical forests remaining in mainland Asia – with over 80% of the park being forested. The park’s 2,168 square kilometres include rain and evergreen forests, rivers, caves, grasslands, waterfalls, and mountains, all of which provide the perfect habitat for an abundance of wildlife including gibbons and Macaques, rare clouded leopards, crocodiles, pythons, elephants, bears, and Thailand’s largest population of hornbills, as well as a host of other bird species. This avant garde temple was built in 1827 by Thao Suranari — an important local heroine — and her husband. Awarded the title of best avant-garde religious building by the Siam Architects Society in the 1970s, the stand out feature of Wat Sala Loi is the unique meeting hall which is designed in Thai style with the twist that it is reminiscent of the shape of a boat riding the waves. A large 5 metre tall standing Buddha statue graces the interior of the meeting hall, and to the rear of the temple a plaster statue of Thao Suranari herself sits floating in prayer above a lotus pond. The tranquil gardens of Flora Park are overflowing with eye popping colourful flowers in all shapes and sizes. These architect-designed gardens display swathes of artfully arranged, fragrant blooms in their thousands, and the restaurant at the top of the hill offers a magnificent sweeping aerial panorama across the labyrinth of petals. The park also features educational zones where visitors can learn about sustainable agricultural development, and at the end of their visit shop for some delicious organic produce. A temple like no other, Wat Phayap is a recent reconstruction of the interior of a traditional cave temple inside a building in Korat city. The grotto like appearance has been created by attaching genuine stalagmites, stalactites, and other cave rock formations to the interior walls using plaster. These rock formations were reclaimed by the abbot of the temple from a cave in nearby Saraburi Province that was being blasted and re-purposed by him as temple decoration. Also known as the Temple of the Reclining Buddha, Wat Dhammachakra Sema Ram is a modern shrine in which lies a 13 metre long, carved red sandstone reclining Buddha image from the Dvaravati period — the oldest example of a reclining Buddha in Thailand dating back to as early at the 8th century. The temple and its Buddha can be found at the historical site of the ruined ancient city of Muang Sema, first founded in the 7th or 8th century BC. Well placed in the centre of Korat, The 3 star Zenith Residence Hotel offer friendly service and clean, contemporary rooms complete with climate control, flat screen TV, personal safe, seating area, balcony, and en suite bathroom with shower. The hotel restaurant offers a full breakfast service, and the communal lounge is a comfortable place to relax. There is a small terrace with snack bar to the rear of the hotel, as well as an outdoor swimming pool, Jacuzzi, sauna, and fitness centre. Relaxing Thai massage treatments are also available to hotel guests. A great base from which to explore the city of Korat and its surroundings, the Fortune Rajpruek Hotel offers spacious and elegant 4 star rooms and suites with floor to ceiling windows affording dramatic city views, cable flat screen TV, fridge, minibar, and en suite bathrooms with bathtub. The outdoor swimming pool is the ideal place to take a refreshing dip after a day sightseeing, and the hotel restaurant dishes up a delicious buffet breakfast and tasty Thai cuisine. There is also a well equipped fitness centre on site. Delightful rooms and suites with traditional Thai style teak furnishings await guests at the 4 star Sima Thani Hotel in Korat city. Rooms feature cable TV, personal safe, tea and coffee facilities, an en suite bathrooms with shower. Suites boast en suite bathrooms with additional shower, CD & DVD player and audio system, and separate lounge area. The Sima Thani Hotel also enjoys 5 different dining options, including Western and Asian buffet dining at the NaiRuen Restaurant, and Cantonese specialties at the Emperor Restaurant. Cocktails, wines and spirits are served at the Ampawan Executive Lounge piano bar. The state of the art fitness centre includes sauna, steam room, Jacuzzi, plus yoga and aerobic dance sessions, as well as a beautiful outdoor swimming pool. Soothing traditional Thai massage and beauty treatments are offered at KlaiSen and the Barali Spa. Luxury 4 star accommodations at the 4 star Kantary Hotel Korat include rooms, suites and studios featuring flat screen TV, DVD and CD player, dining area, and en suite bathroom with shower and bath. Sumptuous dining is offered at the hotel’s 4 restaurants; Hearty fare at The Grill Room Korat, Oriental delights at Tapestry Chinese Restaurant, Western dishes at The Orchard International Restaurant and irresistible pâtisseries at the adjacent Café Kantary. There is also a fitness centre with sauna, and outdoor swimming pool for cooling off at the end of the day. Have you visited Korat yet?